There is 1 review for 'The First Tactics'. 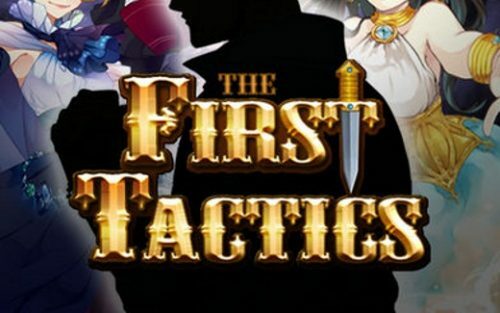 The First Tactics is a tactical RPG game that has pretty simple graphics and an average story premise. You are an unknown male with no memory of your past, and your overall objective is to find out who and what you are. Along the way, you meet various characters belonging to distinct factions. Most units are divided into one of five different character classes: Defenders (the tank), Attackers (the melee spearmen), Rangers (the ones with guns or bows), Magicians (the magical DPS) and Healers (the ones keeping you alive). Every class is pretty distinct in what they can do and how they fulfill their roles. Every character must learn skills by reading books; they can be bought in the game shop or be found as random drops from stages and bonus dungeons. Leveling your own character requires that you win battles, but leveling and evolving your teammates requires three forms of currency: Gold, Souls and character soulstones. There is a level cap that you will eventually reach (40 for most units), but that can be raised by making use of the rebirth system. You can find a grand majority of the characters just from playing the game normally. Most of them are easy to obtain, but some are ‘high-tier’ characters who required rarer soul stones to put into your team and evolve. These higher-tier characters are NOT necessary to finish the game, but they are usually better in some way than their normal-tier counterparts that you will acquire much earlier. Rebirthing restarts your character at level 1, but with a much higher level cap (in most cases, 60). Rebirthing also wipes out the skills you learned from books (which is pretty bad, so you have to learn them all over again), and also doubles the cost of leveling skills (which is even worse). To rebirth, you must gather various colored rocks called Runes along with a large pile of the select character’s soulstones. The grinding is not very demanding at the beginning, and the daily bonus dungeons and items that you acquire per day can also help speed up this process. As costs increase, however, it may take several days to gather the necessary resources to get that necessary Evolution or Rebirth to finish specific stages. The difficulty of the enemies comes not from how smart the AI is (it is pretty obvious how they plan on attack you: they swarm your closest, most delicate character they can reach, and run away when their HP is low), but from the raw stats of the enemies themselves. For example, you will eventually meet enemies who tank all of your magical damage, as well as enemies who sacrifice their own turns to bind your team members one at a time until one or the other dies. But their behavior on how they use their strength is rather simple and easy to predict. Your primary challenge is having the necessary power to outdamage them before they can outdamage you. Overall, if you can get past the language problems this game has, it’s not a bad tactical RPG at all. Heck, unlike many other offline playable RPGs, you can also backup your data if you bind your Google account to it, so you can always uninstall if necessary and come back to the game later with no setback. The First Tactics – what is it?